Each of us can make a difference every time we household shop. Up to 70% of the paper is made from a mix of bamboo fibre and recycled sugarcane which is a waste product of the sugar refining process. To ensure both strength and softness 30% of certified wood pulp (sustainable) is added. 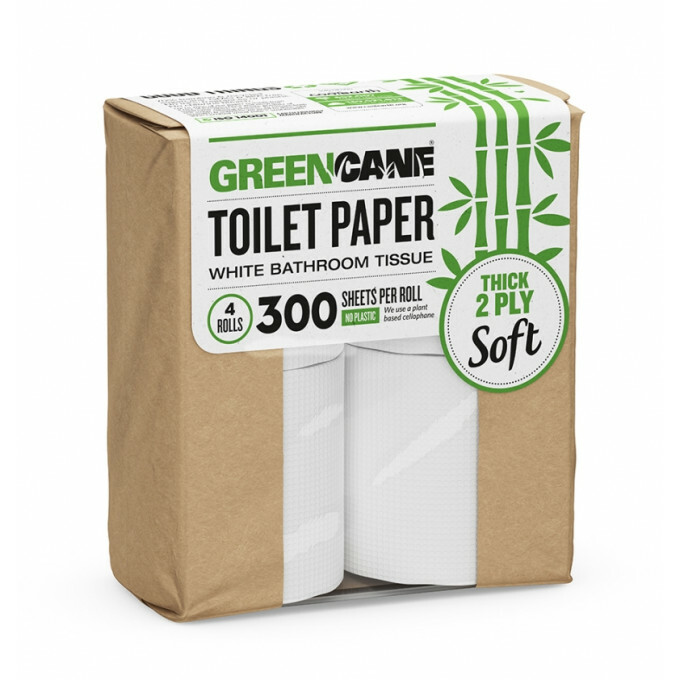 Why Greencane eco toilet paper? Yes it is the best toilet paper ever. I love the way it is packaged, no plastic at all. 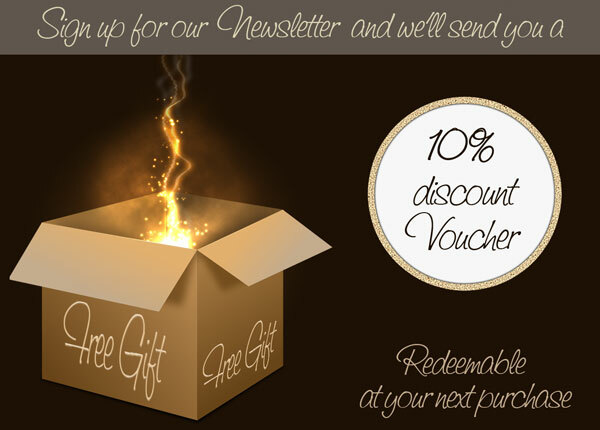 It is great for the environment and rolls seem to last longer. 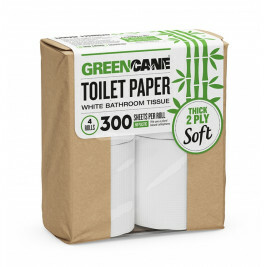 I got these as I can not use normal shop toilet paper. It is good. I even keep a roll in my work bag so I can use my own. Good product - roll lasts longer than most brands. 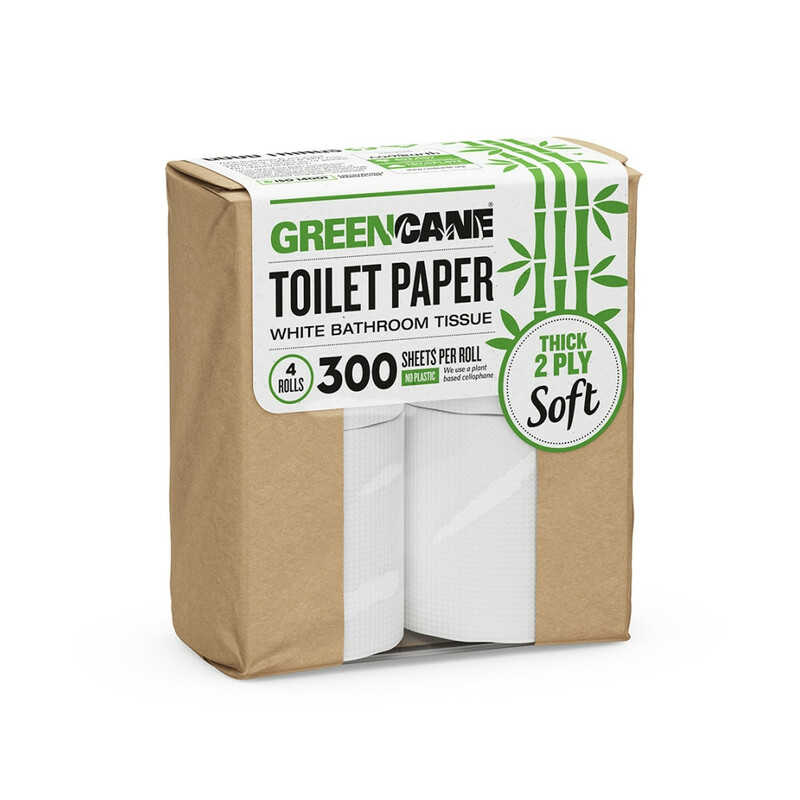 Love this product, rolls are bigger so last longer with a nice feel to them. Will not buy anything else now, as they are great for the enviroment as no plastic in sight.